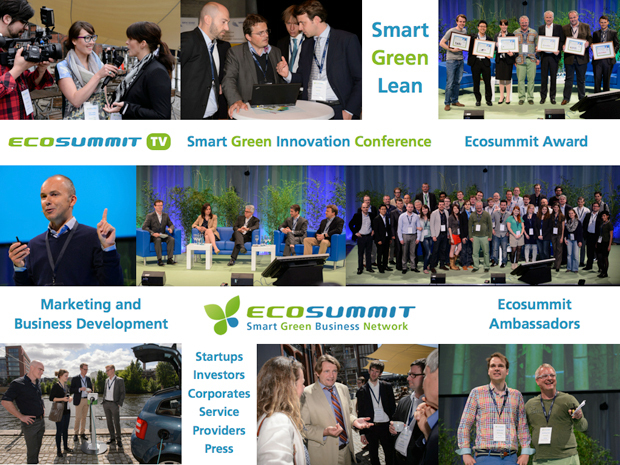 The Ecosummit Award 2012 (ECO12 Award) brings fame and fortune to the best smart green startups. 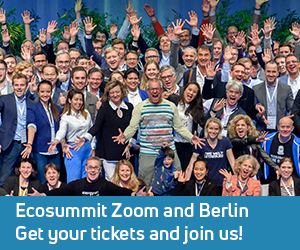 We nominated 52 startups from 9 countries for the ECO12 Award. The list of nominees is sorted by Facebook votes (likes). Facebook voting and award applications are officially closed now. The deadline was 1 March 2012. We had many last-minute applications and, therefore, decided to continue counting Facebook votes to enable the recent nominees to have some fun, too. Although the ECO12 Award Facebook Winners are certain, you can still vote to move up your startup in the list of nominees. The ECO12 Award jury voted from 5 to 11 March 2012 to decide the winners of the €15K prize money. The Ecosummit Award 2012 Jury Winners were announced at our fantastic Ecosummit Award Party on 22 March 2012. As of 1 March 2012, 24:00 CET, we counted a total of 11.489 Votes. We are very impressed and want to thank you very much for voting and fostering the transformation to the Smart Green Economy.